If there’s one fashion tip we’ve learned from Kate Middleton, bold colors are always welcome. She may stick to royal protocol, but this isn’t a woman who stands in the neutral zone. 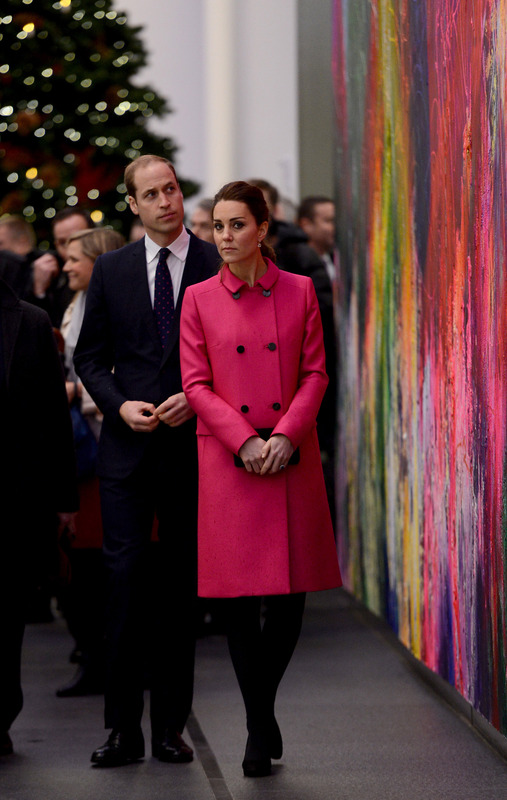 And Kate just donned a colorful magenta number that has us wanting to go for the most saturated of bright pink coats in our closets. Sure, we’ve coveted Kate’s regal gowns and sparkly tiaras. (Hey, we need something to wear to all the balls we’ll never attend!) But this time around, the mom-to-be rocked a wardrobe basic we could definitely wear more than once. While attending an event, the duchess was greeted by a throng of children — but it’s her coat game that was for the adults. As expected, the Mulberry coat is sold out. But we can still swoon, right? So where do we start? In addition to the bright hue, the double-breasted style, wide collar, and perfect knee-length, this is seriously a great winter coat option for anyone. You’d smile this bright, too, if you were wearing a coat like this. And does this coat look a bit familiar? Just a teeny bit? If you’ve been following Kate’s royal style story from its inception, then you know she’s rocked this same coat on several occasions while she was pregnant with little Charlotte. Hey, if it ain’t broke, keep wearing it. While Kate’s specific coat is sold out, you can totally take notes from her by wearing the brightest hue in your closet and being the sunshine everyone needs in their day. Shine bright, beauties.